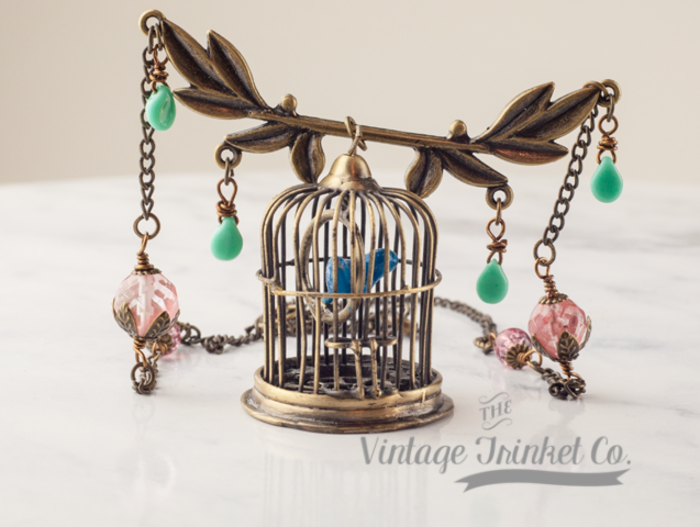 This necklace features a sweet little blue bird swinging from a brass bird cage.. I've attached the cage to a tree branch and added sweet teardrop glass beads to the edges... Finally I finished it all off with some vintage czech crystal flowers. 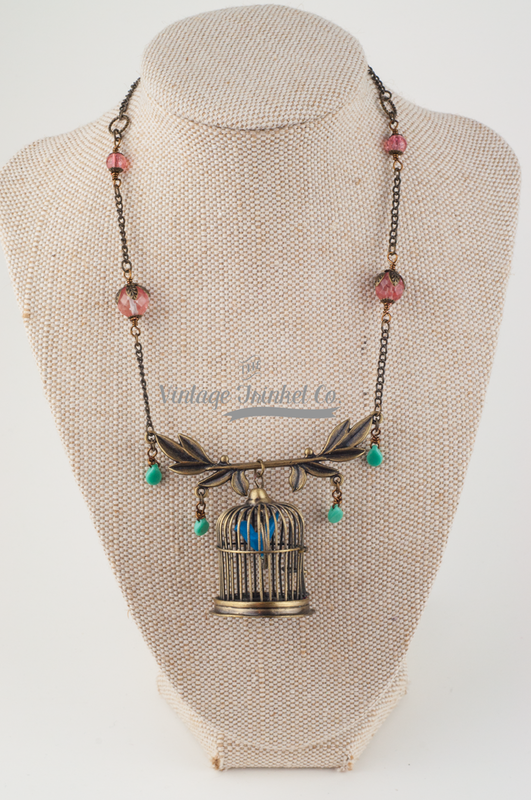 This necklace is in antique brass and looks beautiful in person. Item comes gift wrapped and ready for that special someone, or as a lovely present to yourself.